Discounts for Poor People: They Do Exist! There are plenty of discounts for the rich. A great post by Genius Types puts it best: “It’s just more expensive to be broke than it is to have money”. So how come there are no discounts for poor people? As I mentioned in my previous post, the US government is an elite group serving the interests of the rest of the elites. Because of that, there are plenty of loopholes and advantages for the elite. But there are still some concessions that they’ve made for the little guy, and I want to make this information as widespread as possible while we all climb our way out of debt. 1. File your Federal Taxes for Free: Even the IRS admits that 70% of all taxpayers have an AGI (Adjusted Gross Income) of $58,000 or less. The good news is that ALL of those people can file their federal taxes for free using the most popular tax-preparation software. I’ve used TurboTax, H&R Block and Liberty Tax through the Free File program and they have all worked fine and helped me find extra tax credits and deductions. Liberty Tax is no longer on the list though, so I would use TurboTax if your AGI is less than $31,000 and H&R Block if your AGI is between $31,000 and $58,000. The state tax return is almost complete once you’ve filed your federal return, and the state filing is 15 or 20 bucks for most of the programs. Maybe you’re thinking “I would rather just let someone else do my taxes.” I don’t want to sound bossy, but if you’re making less than $58,000 annually, you really should be doing your own taxes. Chances are they are not THAT complicated, even if you had multiple W-2’s, 1099’s, investment income, self-employment or small business income. All of these tax software preparation programs walk you through each step of filling out your return, and you will save between $50-$250 by not paying someone else to do your return. Caution: Don’t get suckered in to getting your tax refund in advance with a refund anticipation loan or check (also known as an RAC or RAL)! This is one of the biggest moneymakers for places like H&R Block (offering them through HSBC), making $130 million from these high-fee checks and high-interest loans in 2010. They are even banned from offering them in 2011. With the electronic deposit, refunds are usually deposited with 7-10 days of your filing date. Unfortunately, the very poorest are always in need of money immediately so it becomes a tempting offer and 10 days seems like much too long. In that case, tell yourself you filed your taxes a week AFTER you actually did them and wait 3 days or less! 2. Request Low Income Discounts for Utilities: It’s generally frowned upon to ask for a “discount for poor people” at places like Best Buy or Applebee’s, but utility companies provide just that. A utility is a necessity and not a luxury, and low income discounts are common among power and gas companies. I know, Applebee’s doesn’t seem like a luxury, but it is more of a luxury than running your refrigerator or having lighting in your home. In California, you can receive a low income discount on many utilities if you have an income of around $30,000 or less as a single person. Check out the information for the following low income programs at these utilities in Southern California below. 3. Request a Fee Waiver on University Applications: Look at you, applying to college! Trying to get an education and take a vacation, to quote Too $hort. Education is the most important factor in breaking the cycle of poverty and debt, but that doesn’t neccesarily mean traditional education. You know the best place to start your education? At the library. It’s free, there are all kinds of classes all the time, and you can request the books they don’t have to come from other libraries. But going to college can be useful, especially in a family where no one has gone to college. Higher education has become BIG business in the US (especially those wily for-profit schools), and four years of college, even at a state university, is going to cost you. And even before you’ve started paying for your over-priced education, you’ll be expected to drop a few hundred dollars applying to schools where application fees range from $25 to $75. Besides doing your FAFSA as soon as possible for grants and federal loans, you can request a fee waiver when you are completing your application. I can’t promise you’ll get it, because while the IRS and utility companies will consider you low income at around $30,000, these fee waivers are generally granted to people with very low incomes. But it doesn’t take more than a few extra minutes on your application, so give it a shot. 4. Second Mortgage Assistance with Local Government: Developers work with cities to build affordable or low-income housing in a (usually run-down, less desirable) neighborhood, and the city will offer payment assistance to buyers whose income falls within a certain range. You’ll work with the developer’s lender to get a first mortgage and the city will provide a second mortgage to cover the difference between the purchase price and the first mortgage. Affordable housing programs can have very different characteristics, with some homes offered at market prices (but with increased assistance from the city), while other programs offer homes at below-market prices. Not all affordable housing programs are created equal so it is vital to do all of your research. I don’t want you to stay at the bottom forever, but the important thing is educate yourself as much as possible with regards to what’s available and what opportunities exist. And if they don’t exist, it’s easier to demand changes when we know what we’re talking about! 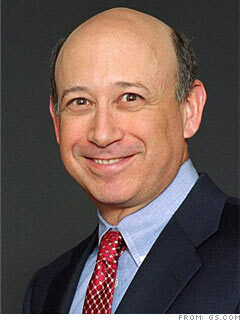 Lloyd Blankfein: I'm in the 1%, how about you? “We’re the only ones not fighting the class war.” –heard on KPFK radio in a discussion on recent collective bargaining bills introduced in Wisconsin, Ohio and other states. You get the point. I don’t want to make broad-sweeping generalizations of what the “Economy” is doing, but instead analyze some of the trends, statistics and information we all hear. One of the most disturbing trends that has finally started getting some attention is inequality in income and wealth. In the United States, those statistics have changed over the past 50 years, and there’s a great article on AlterNet that tells you all about it. 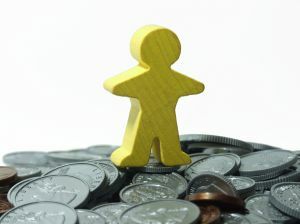 According to the article, the top 1% of the US population earns just less than one-fourth of the nation’s income annually, and holds 40% of the household wealth in the US. One percent of the US population is just over 3 million people. In other words, there are 3 million people in the US who own $21.7 trillion in total wealth. Does anyone else think that’s crazy? And don’t think that the other 60% of wealth (usually the sum of all assets minus liabilities like loans and mortgages) is evenly distributed. The wealthiest 25% of US households hold 87% of that total wealth (including that 40% for the top 1%), leaving the other three-quarters of the population, or 230 MILLION people, holding the bag. It’s a depressing thought, to be sure. But I know if at least some of the “bottom 99%” are reading articles like the ones above and taking control of their debt and income, then some of the power of that 1% is being reclaimed. It’s easy to use the Economy as an excuse to do nothing, but as the first quote of this post points out, the other half (which became the 1% while no one was looking) is in action and has no plans to slow down. Maybe it’s time to take a lesson from them.